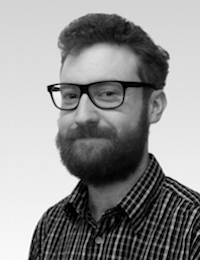 Cathal is a PhD student in the Centre for Robotics and Intelligent Systems (CRIS), currently investigating the direct interconnection of marine renewable energy (MRE) devices. His research involves removing component subsystems from individual generation sources in favour of centralised power electronics leading to efficiency, reliability and cost improvements. Cathal graduated with First class honours in Electronic & Computer Engineering from the University of Limerick in 2017. During his undergraduate degree, Cathal worked with Analog Devices Inc. as a Verification Engineer and continued on to work with Electricity Exchange DSU as a software developer before beginning his research. Further information can be found on Cathal’s UL Research Profile.